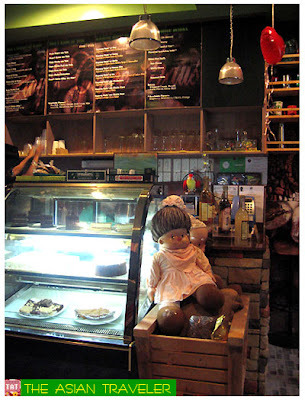 After we had a perfect dinner at Ka Lui Restaurant, we headed to Kamarikutan Kape at Galeri. It was around 8:30 pm when we got there. The entrance was a bit dark and we walked a few meters to reach the restaurant. The place was open but it was seriously empty (???)! We had no choice but to leave the place. Since hb and I really needed a caffeine fix and a little chitchat, we chose another coffee shop named Itoy's Coffee Haus. 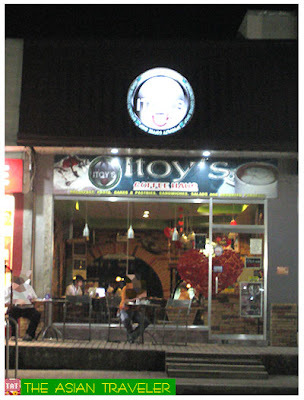 Itoy's Coffee Haus is situated in Rizal Avenue, just footsteps away from the Skylight Apartelle. It's a cozy place on a side street. It's the place to chill and relax. 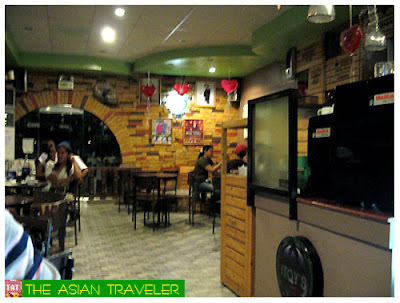 The coffee shop itself is clean, dim-lighted with cool interior. The front of the shop also has two tables and chairs allowing patrons who want an al-fresco coffee-ing. Aside from tasty blends and espresso offerings, they also serve breakfast and a full menu of great food like pasta, cakes and pastries, sandwiches, salad and assorted pandesal. 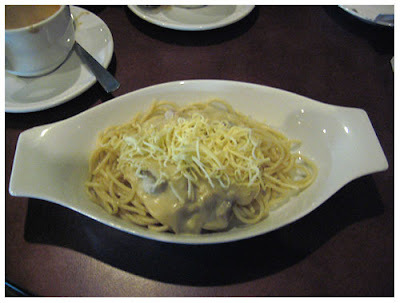 We had Café Latte (Php 65.00), Café Mocha (Php 65.00), a piece of sliced Moist Cake (Php 45.00) and Ham and Bacon Carbonara (Php 65.00). 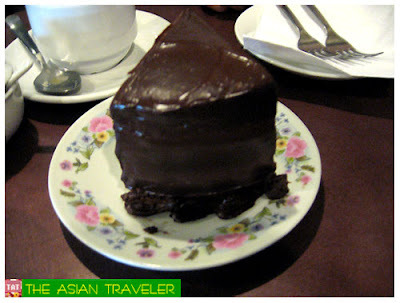 That moist chocolate cake looks really delicious! I have been on a diet and haven't had a cake since April!